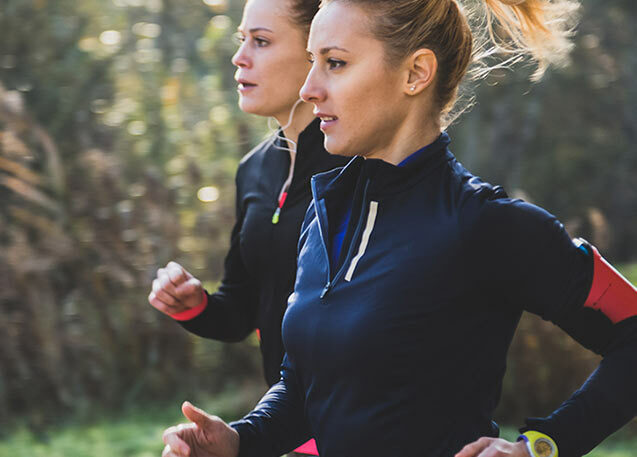 Runner’s Clothes – When you want to stay one step ahead..
With the right runner’s clothes your daily run or exercise becomes easier and more enjoyable. Running is one of the easiest forms of exercise. You put on your clothes, get out and start running. Running is recreational for body and soul. You collect your thoughts while breathing in fresh air and releasing oxygen into your entire body. What you need to consider is to wear proper clothing that transports moist from the body so that you don’t get cold. You shouldn’t wear cotton as they don’t do this and as they grow heavier. If it’s cold outside when you go for a run, dress using the layer principle. The first layer that is in contact with the skin must be breathable and able to transport moist out to the middle layer, which also should have this functionality. The third and outer layer should be adapted based on temperature, wind and potentially rain. When jogging you should feel free. The clothes should not be the resistance when you’re running. Clothes that you should invest in are functional shirts, runner’s tights/pants, socks and, as a woman, a good sports bra. If you don’t like running in tights you can wear a pair of shorts on top of them. Running socks are important as they minimize rubbing of the feet while keeping the feet dry. In the winter, always run wearing a technical hat and clothes that keep you warm. During the summer, wear clothes that transport moist as both the body and the air gets hot. At Arrak Outdoor we have a wide collection of runner’s clothes, and your newly found inspiration or goal starts with us. We wish you the best of luck with your running regardless of whether your goal is 3 or 30 kilometres.